Options for Florida Homeowners with Homes that are "Underwater" | The Law Office of Emil Fleysher, P.A. 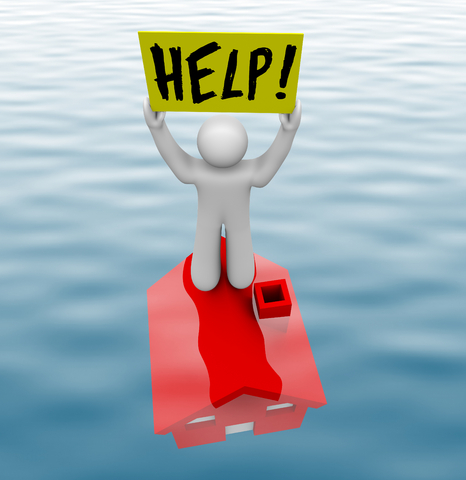 Options for Florida Homeowners with Homes that are “Underwater” | The Law Office of Emil Fleysher, P.A. If you can afford the payments and are more comfortable paying an over-priced loan than walking away from it, you may decide to keep paying. If you want nothing more to do with the property and are ready to “walk away,” then offering the bank a Deed in Lieu of Foreclosure (“Deed in Lieu”) may be the choice for you. A Deed in Lieu describes a situation in which the borrower agrees to vacate the property and abandon any claim or rights to the property. Banks like this option because it saves them the expenses and delays associated with judicial foreclosure. In return, most banks are willing to waive any deficiency claims that may result after the subsequent sale. It will have nearly the same effect on your credit score as a foreclosure. However, you will save your credit score from the damage that would be caused by having successive late mortgage payments. There are tax implications when any debt is forgiven. This results in a cancellation of debt that is considered by the IRS to be taxable income. However, exceptions to this rule include Insolvency (your total secured debts were higher than the Fair Market Value of your assets at the time of foreclosure sale) and Bankruptcy (filing for Ch. 7 Bankruptcy would discharge this liability). A short sale is a type of pre-sale in which the bank agrees to let you sell the property for less than the full amount owed and to accept the proceeds of the sale as full satisfaction of the debt. There are tax implications when any debt is forgiven. This results in a cancellation of debt that is considered by the IRS to be taxable income. However, exceptions to this rule include Insolvency (your total secured debts were higher than the Fair Market Value of your assets at the time of foreclosure sale); Bankruptcy (filing for Ch. 7 Bankruptcy would discharge this liability); and the Mortgage Debt Relief Forgiveness Act which has been recently extended through December 31, 2013. While a Short Sale may be slightly better for your credit than a full foreclosure, it still has a substantial negative impact. However, for those unable or unwilling to file for Bankruptcy, a Short Sale may be the best option in avoiding facing a deficiency judgment later on. The intent of a modification is to eliminate the arrearage and reduce monthly mortgage payments for homeowners who have recovered from financial distress but whose net income has been reduced to a level lower than it was before the default, such that they can no longer afford the original loan. You can stay in the home at a payment that is affordable based on the income information you provided to the bank to get the modification. If you suffer a reduction in income you will no longer be able to afford the payments and will have to start the process over. If you are “upside down” on your mortgage after the modification, you may still have little or no chance of building equity in less than 20 years. If none of the above choices are acceptable to you, then you may be interested in pursuing a Foreclosure Defense strategy. In short, a foreclosure defense strategy affords you the opportunity to stop making payments on the mortgage, property tax, and property insurance while an attorney defends your legal rights against the foreclosure action. The opportunity to save your monthly housing expenses for an indefinite period of time. This money can be later used for moving expenses, housing, or as a down payment on a subsequent home purchase. This option gives you the most time to get your affairs in order and to plan for your next step. You will eventually lose the house unless the bank agrees to allow resumption of payments or full payment of the loan is tendered (this is also referred to as “redemption”). You will have the dramatic negative impact of a foreclosure on your credit score. The servicer may pursue a deficiency judgment for the difference between the amount of the mortgage loan and the foreclosure sale price. If the bank waives the deficiency, there may be tax implications. This results in a cancellation of debt that is considered by the IRS to be taxable income. However, exceptions to this rule include Insolvency (your total secured debts were higher than the Fair Market Value of your assets at the time of foreclosure sale) and Bankruptcy (filing for Ch. 7 Bankruptcy would discharge this liability). Filing a Chapter 13 Bankruptcy may enable you to “strip off” any fully unsecured liens on your property. If your home is worth less than what you owe on your first mortgage, then any subsequent mortgages are fully unsecured in that there is no equity in the property above the first mortgage to secure them. In this scenario, a Chapter 13 bankruptcy may enable you to discharge the debts associated with the subsequent mortgages as well as strip off the liens completely. At the end of your successful Chapter 13 payment plan, you keep the house with only the first mortgage. Once the Chapter 13 plan is confirmed, all creditors must abide by the terms and honor the outcome. The Chapter 13 plan will last 3 or 5 years and you only get your discharge if and when the plan is completed. Bankruptcy may not be the best option for everyone at every time and an attorney should always be consulted with prior to making a decision as to whether or not to file.